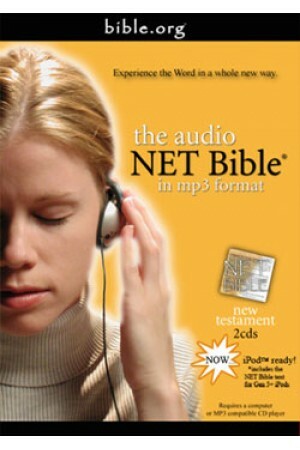 This audio NET Bible is especially designed to be loaded into your iPod. You can even view the text of the NET Bible while listening to the audio on the newer iPod models or through iTunes. Faster search by artist and album. View the text of the New Testament while listening to the audio on devices/software that are able to read the "lyrics" field such as the newer iPod models or through iTunes. Each file has the text of the corresponding chapter of the NET Bible embedded into it. Read from the perspective of each book's author and from their age at the time they wrote the book.